This post was written while streaming the first day of the World Cup. Quite a work distraction. 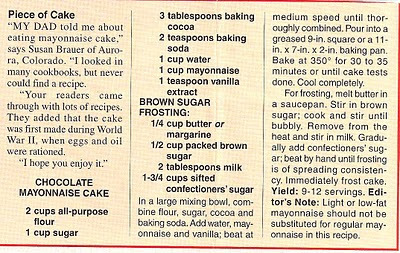 I couldn't find any soccer-related recipes to mark the moment, but this one caught my eye as strange. 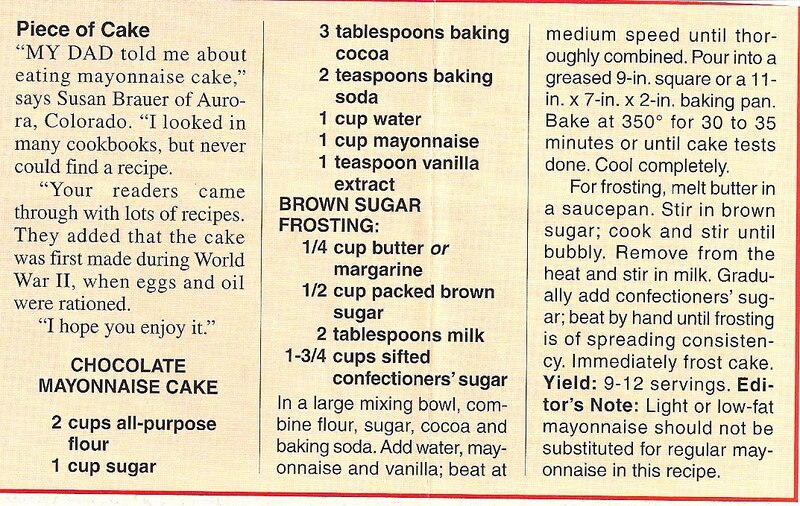 Chocolate and mayonnaise. Huh.